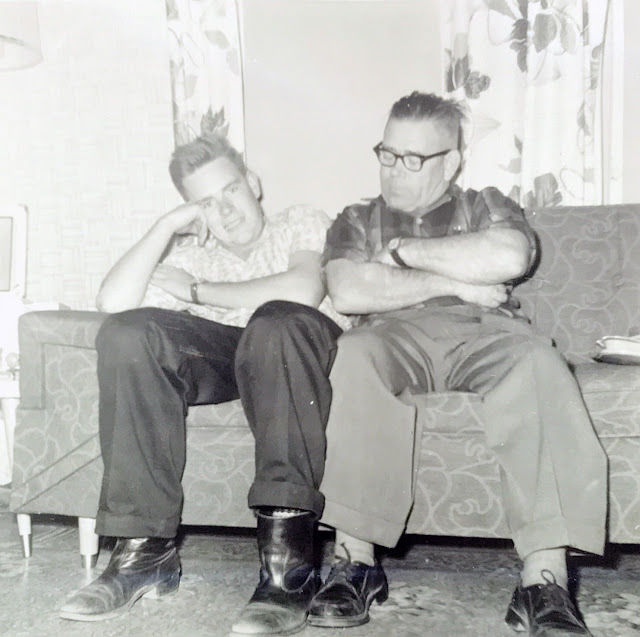 For Father's Day, it seems appropriate to look back and see Dad with his Dad, back sometime in the late 1950s or early 1960s. Today Dad looks a lot like his father did back then! Sadly, Sean and I never got to meet Granddad, but at least there are some photos.